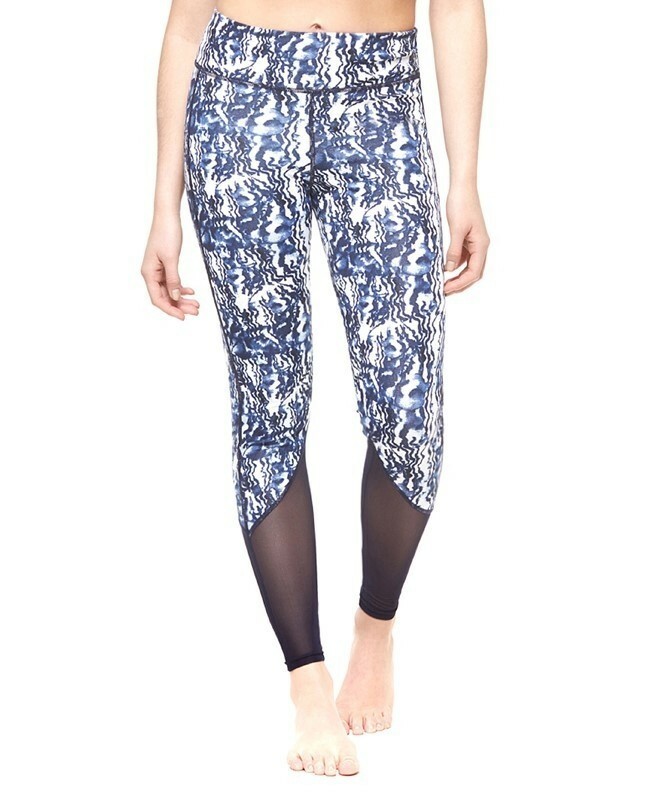 Ladies navy marble print fitness leggings with mesh detail. Matching fitness cropped top also available. Made from: 95% Polyester, 5% Spandex. Available in sizes XS, S, M, L. Comes in packs of 12.